Good afternoon. 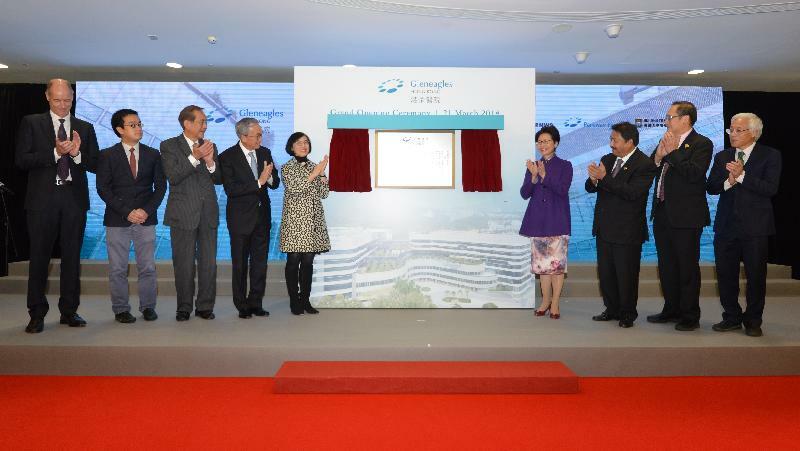 It is a great pleasure to be here today, to be celebrating with you the grand opening of Gleneagles Hong Kong Hospital. This may be the formal opening ceremony, but I know that the doors of Gleneagles have been open wide and welcoming for a full year now. 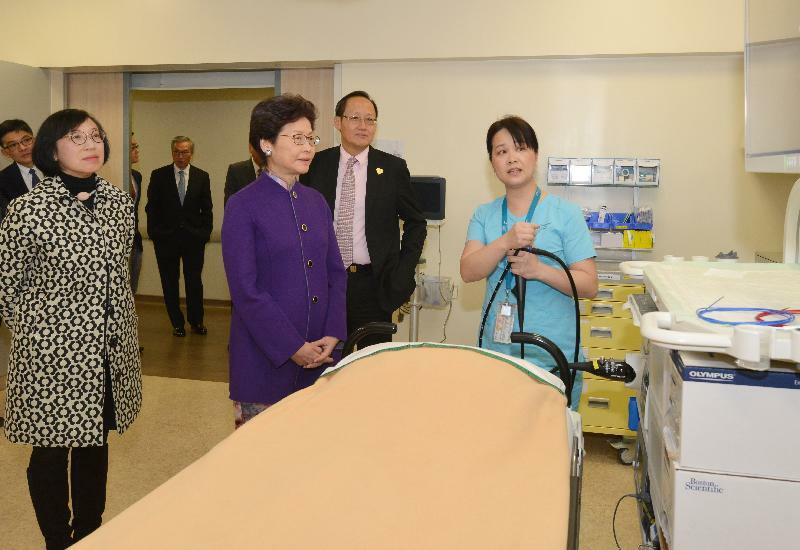 In that time, the hospital has become a valued addition to Hong Kong and to our dual-track healthcare system. 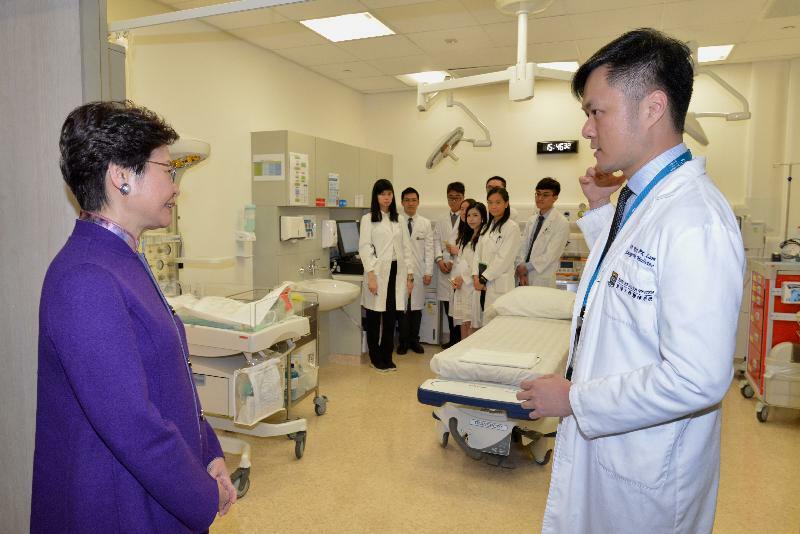 While Hong Kong prides itself on a free market economy and a vibrant private sector, when it comes to hospital services the public sector, namely through the 42 hospitals and institutions of the Hospital Authority, remains a major provider, taking care of some 90 per cent of all in-patient treatment in terms of in-patient bed days. Knowing how much Hong Kong people treasure this safe, quality, accessible and affordable system, as the Chief Executive, I have no intention to make fundamental changes, except to strengthen its management and relieve its work pressure. 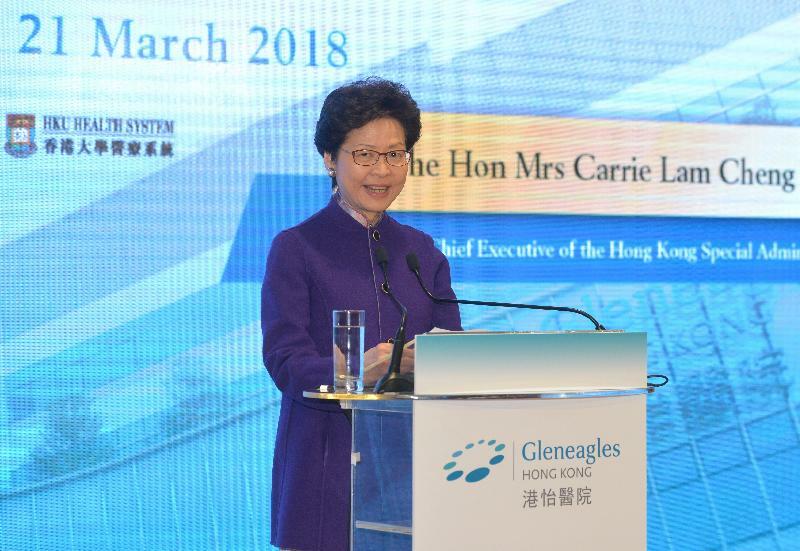 Hence, this term of the Government has significantly increased its annual subvention to the Hospital Authority and has committed to an extra HK$300 billion capital works programme to support the second 10-year hospital development plan, improve the clinic facilities of the Department of Health, and upgrade and increase healthcare training facilities. This is, I should add, on top of the HK$200 billion committed through the first 10-year plan. In the land tendering process, and through the Service Deed entered into between the Government and the Hospital, local residents are guaranteed at least 70 per cent of in-patient bed days, and that more than half of in-patient services to local residents will be provided through package plans. Gleneagles’ transparent fee-charging system ensures cost certainty and transparency, which will go some way towards addressing patients’ main concern in using private hospital service. I hope this will have a demonstrating and benchmarking effect and our other private hospitals will soon follow suit. 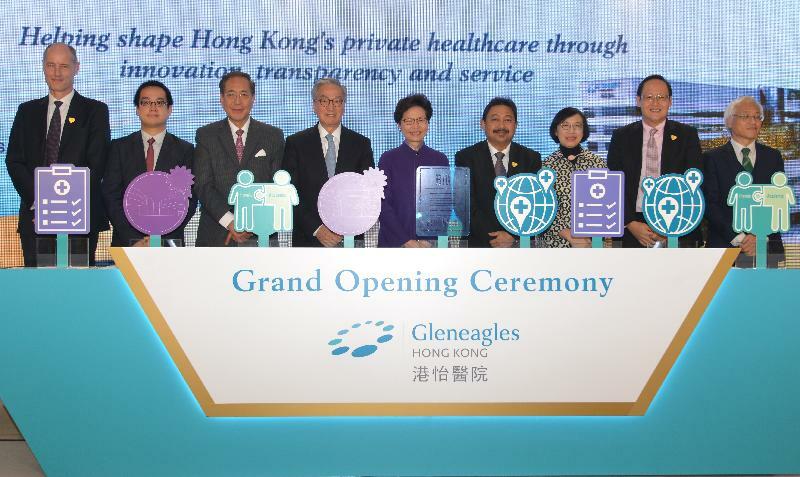 Gleneagles Hong Kong Hospital, with the University of Hong Kong's Li Ka Shing Faculty of Medicine as its clinical partner, will surely make a substantial difference to the private healthcare sector. 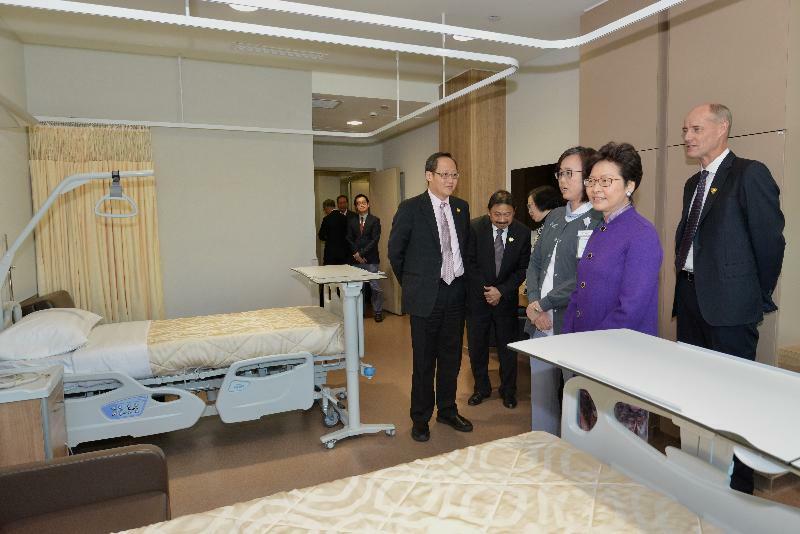 So, my congratulations again to Gleneagles Hong Kong Hospital, and everyone behind it. I am pleased to welcome you to our Hong Kong community. My best wishes to you all on this very special day. Thank you very much.